Seven entrepreneurial companies will pitch their innovative natural products and brands to industry experts, business leaders and investors, and compete for more than $30,000 worth of prizes, including a free exhibit booth at the 2019 Natural Products Expo West. Tickets now available for the event to be held at the Presidio Officers’ Club in San Francisco, 1:00pm-6:00pm on November 1, 2018. San Francisco, CA (October 2, 2018) – Naturally Bay Area, a growing business community comprised of entrepreneurs, investors, innovators and leading brands in the natural and organic products industry in Northern California, will hold its premier event of the year, the first-ever Naturally Bay Area Pitch Slam, on Thursday, November 1, from 1:00pm-6:00pm, at the Presidio Officers’ Club in San Francisco. Seven entrepreneurial companies based in Northern California will take the spotlight to pitch their natural products company to a panel of judges, comprising industry experts, top professionals and seasoned investors in the industry. The companies will compete for more than $30,000 worth of prizes, including $5,000 in cash, a suite of professional services, and a 2019 Expo West Booth (compliments of New Hope Network, producer of Natural Products Expo West). All Naturally Bay Area members who have legal businesses based in the Northern California Bay Area, have been in business for at least one year with demonstrated revenue, and make their products in a licensed facility were invited to compete to become pitch finalists. The seven featured pitch companies include GOOD CO-OP cannabis-infused bakery products, Jiminy’s cricket-protein dog treats, Pure Makhana grain-free popcorn alternative, Raised Real baby and toddler ready meals subscription service, Siren Snacks plant-based snacks, Tia Lupita Hot Sauce, and Ugly Juice cold-pressed fruit juice and fruit snacks. 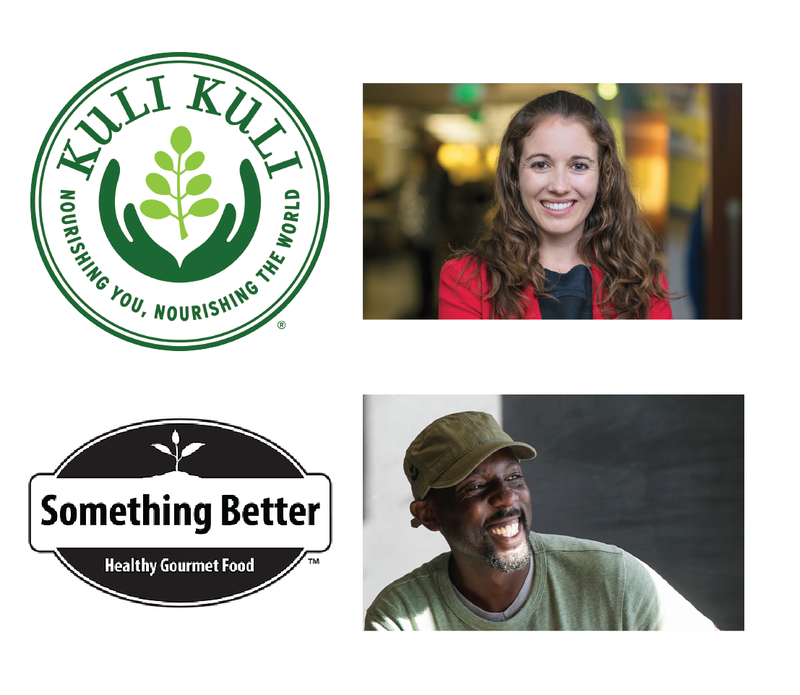 The Pitch Slam will also welcome two featured guest speakers during the event: Lisa Curtis, innovative Founder & CEO of Kuli Kuli, the first brand to introduce the green superfood moringa to the US Market, and Chef Chew, Founder of Something Better Foods, who is radically changing how we eat with his Better Than Meat vegan products. Naturally Bay Area’s inaugural Pitch Slam event will take place in the Ortega Ballroom on the second floor of the Presidio Main Post in San Francisco, from 1:00pm to 6:00pm on November 1. Company pitches will take place from 2:00pm to 4:15pm. Judges will announce winners at 4:30pm, followed by a networking reception. See the full schedule of events here. Tickets are $49 for members and $69 for non-members and can be purchased here. Naturally Bay Area, with approximately 300 members and growing, is the first regional affiliate of Naturally Boulder, which has been the catalyst for Colorado’s dynamic natural products community and companies for more than a decade. Naturally Boulder will host 20 entrepreneurs and 600 audience members at its 14th annual Pitch Slam on October 18-19, 2018, in Boulder, CO. In addition to Pitch Slam, Naturally Bay Area offers education, networking and other special events such as Morning Mingles, Networking Nights, and Education Series sessions for members. For information, visit www.NaturallyBayArea.org. One week prior to Pitch Slam, Naturally Bay Area will host “Pitch Camp: Creating Clear, Concise & Compelling Pitches” on October 24, 2018, from 5:30pm-7:30pm. The event is in part designed for nominated Pitch Slam Companies to hone their pitch strategies, but all Naturally Bay Area members and non-members are welcome to attend. Visit here for more information and to purchase tickets. The organization is proud to have Premier, Platinum, Gold, Silver, and Bronze-level Sponsors. Premier Sponsors include Aspect Consumer Partners, New Resource Bank, Clif Bar & Company, Propeller Industries, New Hope Network, Davis Wright Tremaine LLP, The Burbank Hafeli Schiller Group, Mista/Givaudan, Navitas Organics, and Armanino LLP. For a complete list of Sponsors, visit here. As the first regional affiliate partner in a “hub and spoke” model with Naturally Boulder, Naturally Bay Area is a new 501(c)(6) nonprofit organization created to connect entrepreneurs, investors and innovators in the food and natural products community in Northern California. For member and sponsor information, contact Cynthia Maxey at info@naturallybayarea.org. Vanessa Toy, Naturally Bay Area, vanessa@cultivatecreations.com.